GIGABYTE was founded in 1986 and is committed to providing top-notch solutions that upgrade your life. Gigabyte has continuously brought unique new ways of digital worlds and created marvelous products that empower the users with meaningful and charming experiences. 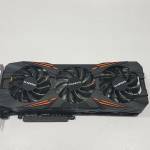 Gigabyte carries a wide range of the product lines including motherboards, graphics cards, PC Chassis, Power Supply Units, Laptops/Notebooks, Peripherals, desktop PCs and what not and currently stands among the few top manufacturers of the PC World. 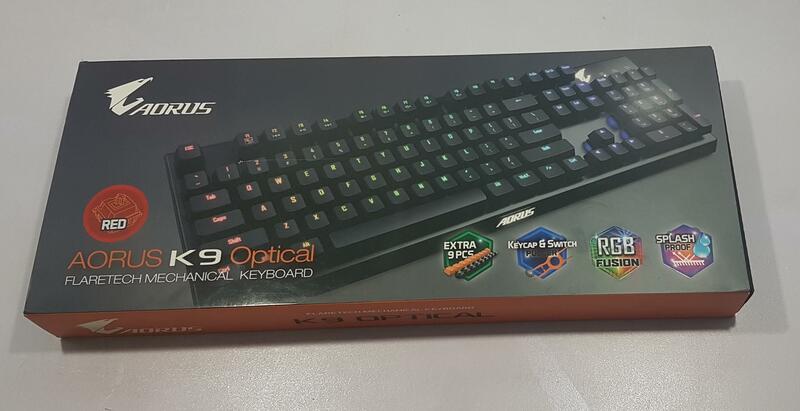 Today, I will be reviewing the Gigabyte Aorus K9 Optical Mechanical keyboard which is a new addition to their gaming lien up of the peripherals. 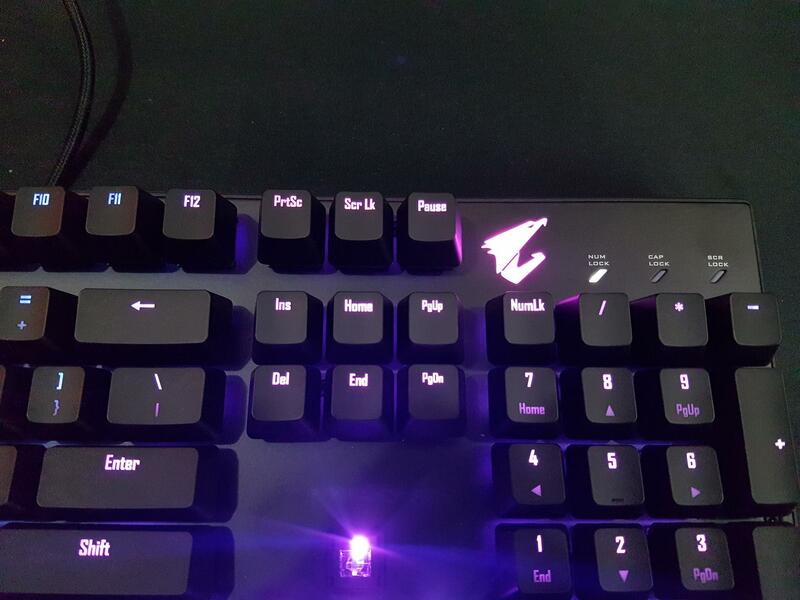 Unlike the majority of the mechanical keyboards that are using Cherry MX switches this keyboard is using Flaretech Optical switches which uses sensor and light to read the keypress and its position. The debounce time of just 0.03 is whopping beneficial particular in competitive gaming. There is more benefit using these switches which I will cover in later in the content. The first commercial product based on these switches was probably released by the Wooting One. 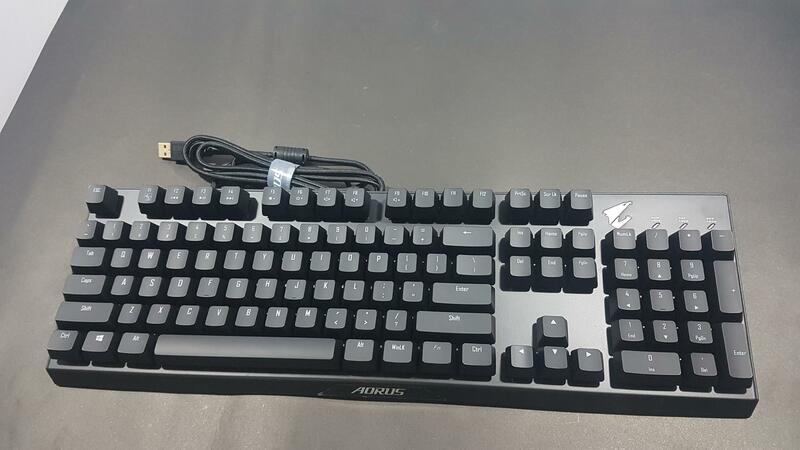 Price: It is estimated to be above $123 which is the price of the Aorus K7 keyboard. Gigabyte has not announced the pricing as of yet. It may be ranging between $140 to $150. The keyboard comes in a cardboard box packing with the flapper cover. The top side has a picture of the keyboard on the main section. The falcon logo of the Aorus brand is printed on the top left side. These are red switches as indicated by the red color circled switch on the left side. The keyboard comes with extra 9 PCs of the keycaps and the switches. A key/switch puller is also included. 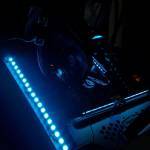 The keyboard packs EGB LED lighting per key up to 16.7M colors and it is splash proof. The backside of the packing has the model of the keyboard printed on the bottom left side. 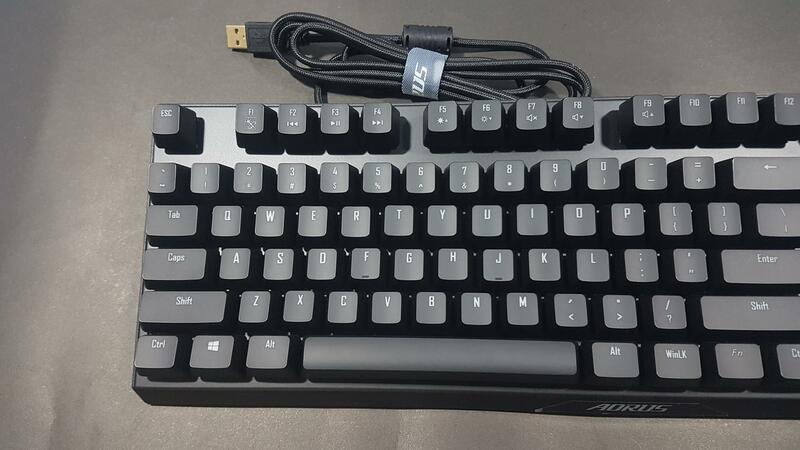 There is a picture of the keyboard printed on the main section and is highlighting the key features like RGB Fusion, key/switch puller, Splash proof, 0.03ms debounce time etc. Specifications of the keyboard are printed on the bottom right side. There is conflicting information over the cable’s length. The Gigabyte website is showing this to be 2m whereas the packing info is showing it to be 1.8m. This side has an orange background with Aorus brand name and the logo printed in the white color on the left side. The keyboard model and name are printed in the middle. Taking off the flapper cover will show the container box. 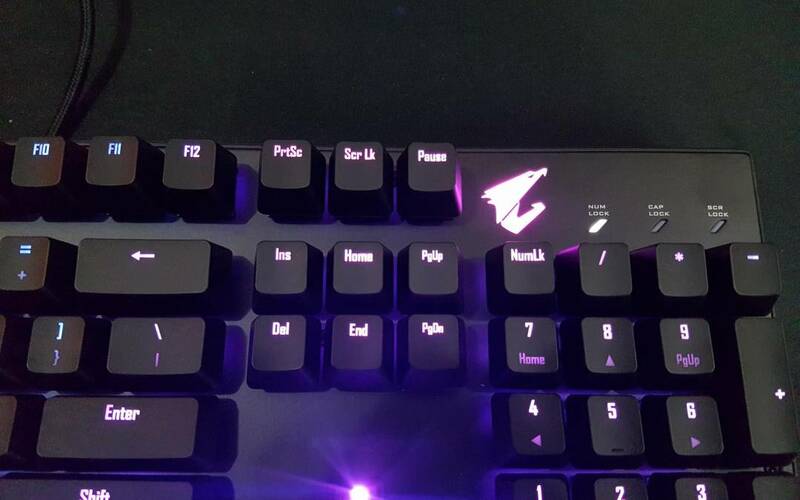 There is Aorus gaming brand and logo printed in the middle. Opening it would show the keyboard and the accessories nicely placed inside. 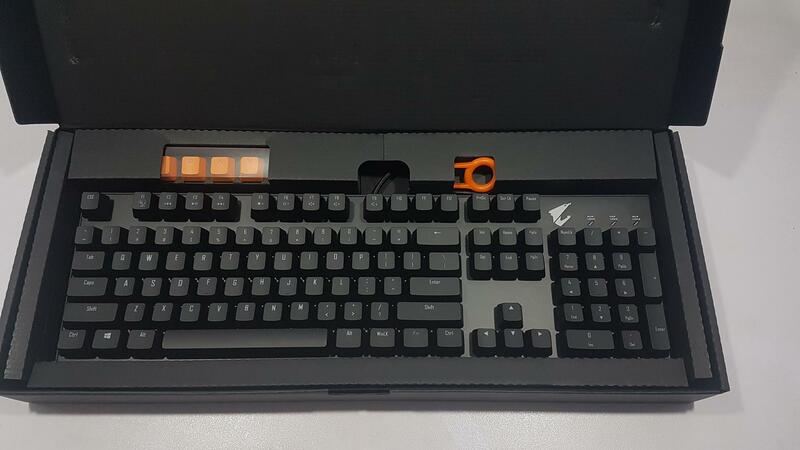 The Gigabyte has supplied 9 additional key caps which are PBT and 9 extra switches. 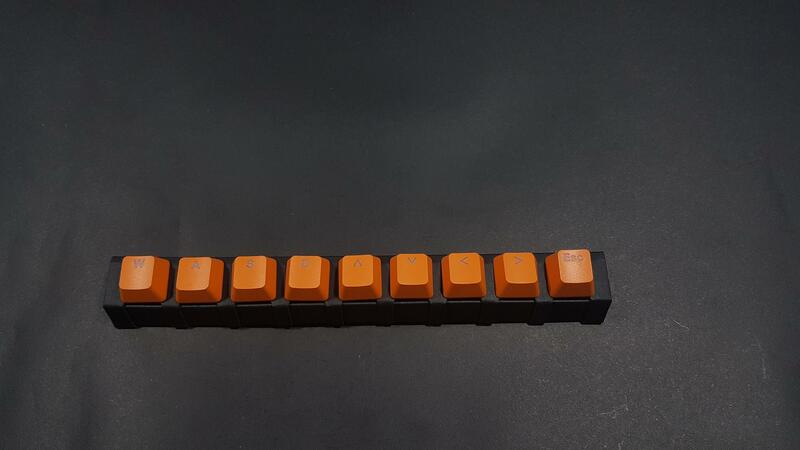 These keycaps are in orange color. 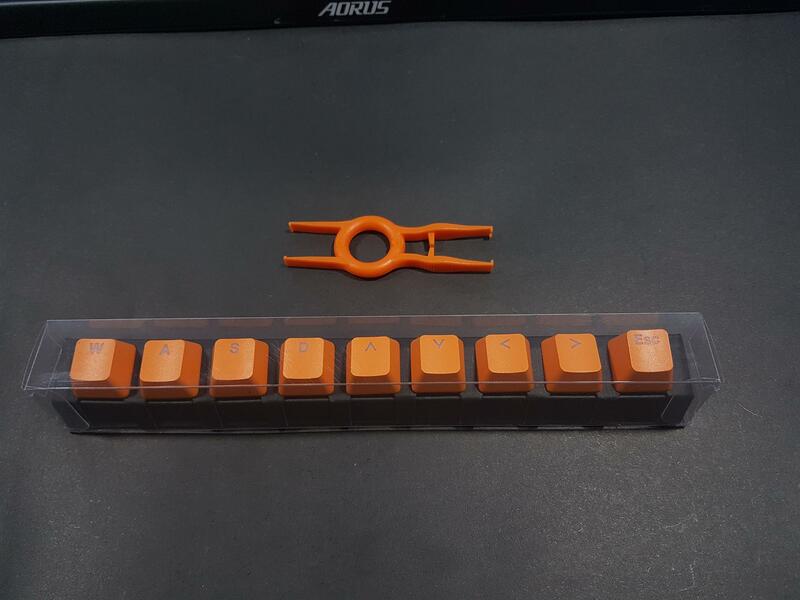 There is a keycap/switch puller in an orange color. The user guide and keyboard keys functionality guide are also included. 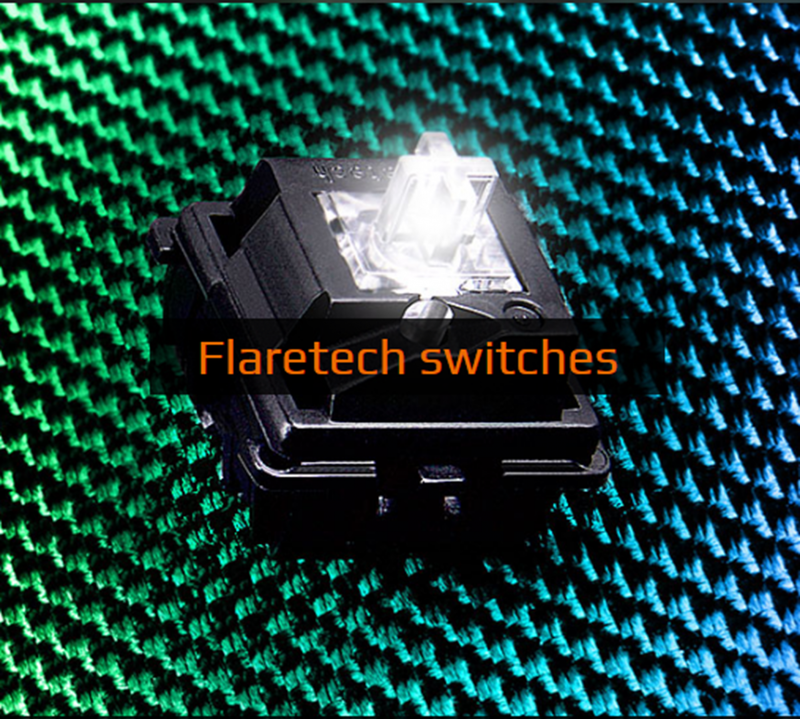 The Flaretech switches are optical mechanical ones, meaning that they would rely on the light sensor and the light to sport the keypress. The traditional mechanical keyboards use conductivity to recognize the keypress. 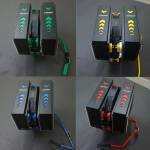 These switches are available in Red and Blue only and are alike the Cherry MX Red and Blue switches. Here is a bit of comparison between these. There are some inherent benefits using these switches. Since it is an optical one, it is analog compatible and that would mean we can read multiple values on a key press. The switch itself is mechanical and does not have any magic to it. All the functionality comes from the sensor which is not on the switch but on the PCB doing all the magic. This functionality has also made the switches modular meaning they are hot-swappable much like keycaps as they are not soldered on to the PCB. The Gigabyte puller has one side designed to remove the keycaps and the other side to remove the switches. Since the signal is travelling at the speed of the light the debounce time of 0.03ms makes its case and literally, it is the fastest response time we can have. Another unique feature is the SMD LED being used to it. Original LED is not inside the switches but it is on the PCB. The light goes through the switch on the top side of the PCB. The switch has a passage for that purpose. Now that we have discussed briefly the switches, let’s take a look at the keyboard itself. The keyboard itself is simple in design. It carries almost the same weight as that of my Corsair K70 RGB Rapidfire though holding this keyboard gives the impression that is heavier than the Rapidfire. The keys are well laid out. This keyboard is using the US layout. The floating key design leaves more of the switch exposed, for more vivid lighting effects and easier cleaning access. 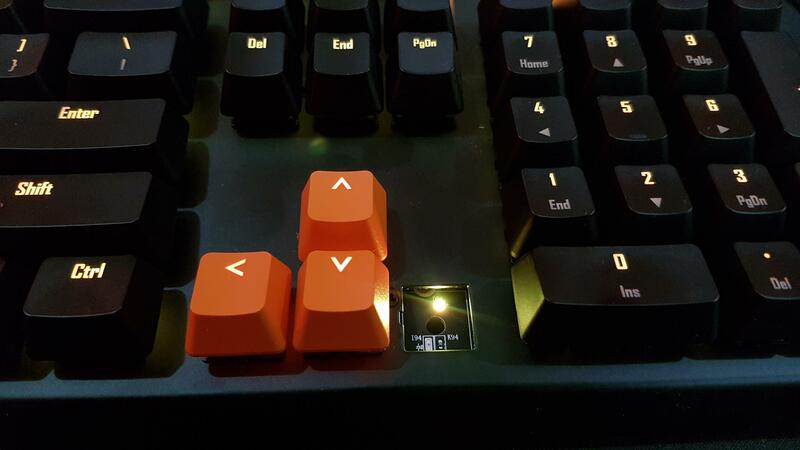 The AORUS K9 comes with full N-Key rollover. Every single keystroke gets registered, every single time, regardless of how many other keys are pressed simultaneously. There is a Fn key available with this keyboard. The Gigabyte has taken a different approach in implementing the multimedia keys. Instead of giving dedicated multimedia keys and volume rocker, this functionality is achieved using the combination of the Fn key and the F2 – F4 keys. The volume can be controlled using the Fn key and the F7 – F9 keys. It is not a convenient implementation in my opinion as having dedicated multimedia keys is a plus. In this price range, they should have been provided. Nevertheless, they did not ditch the idea completely out and provide the alternative. 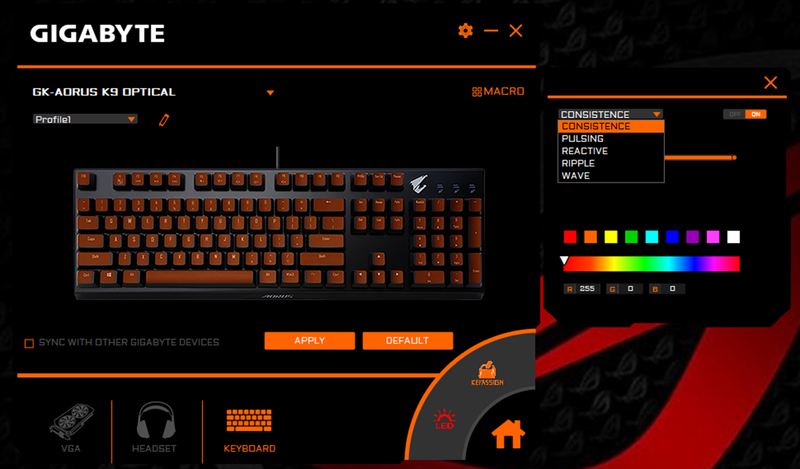 Using the combination of the Fn and F1 keys the built-in RGB Lighting profiles can be activated one at a time. 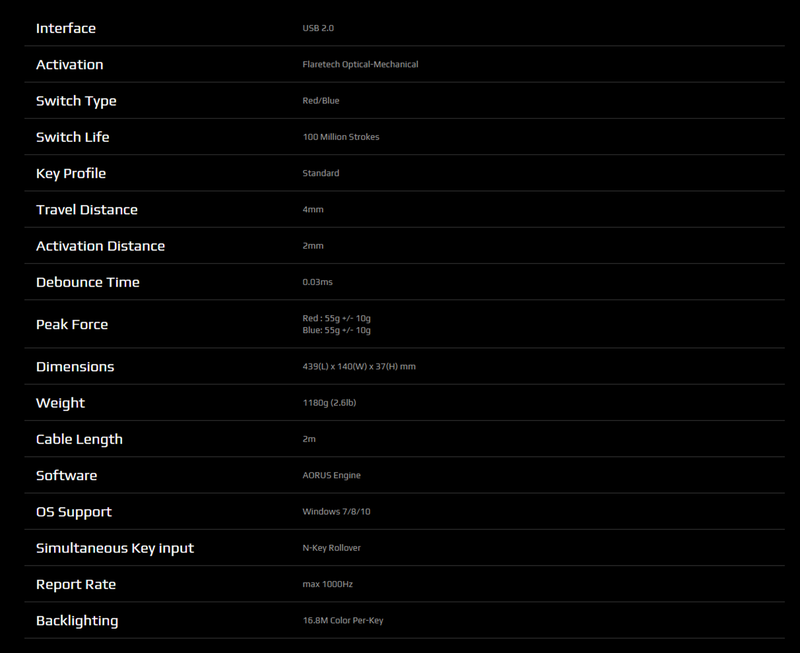 The brightness of the lighting can be controlled using the combination of the Fn and F5, F6 keys. Numpad is implemented in a standard layout. There is a Falcon above the numpad section. 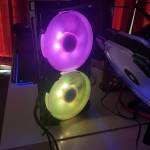 It has RGB LEDs underneath and lights up when in operation. Num Lock, Cap Lock, and Screen Lock indicators are right next to the Falcon. They have tilted LED zones showing their status. If the white light is on, it would mean the corresponding lock is active. Note that the white color on these is fixed can’t be changed. The keycaps on this keyboard are made of ABS which is quite common in the keyboards due to its lower cost but it can easily get dust, grease off the fingers and can become dirty quicker. Regular cleaning is required. 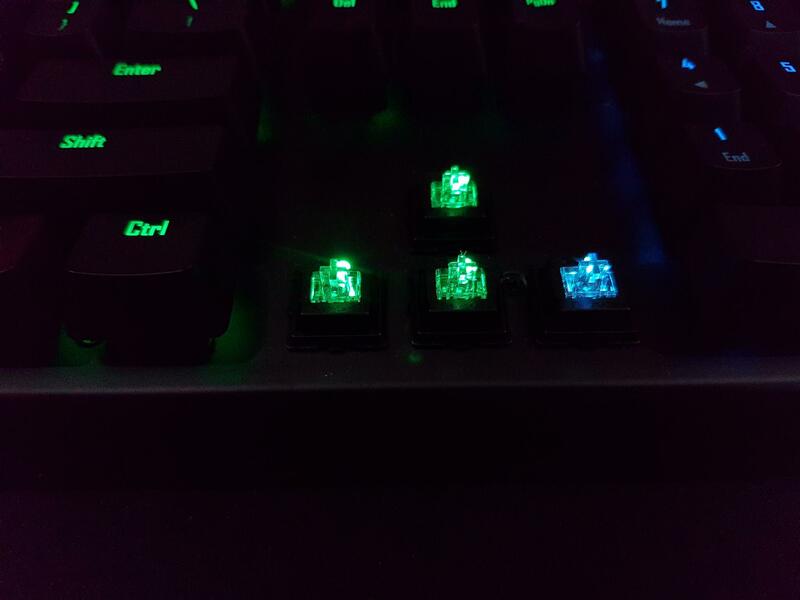 Every keycap has RGB LED underneath with 16.7M colors possibilities. The lighting can be controlled using the Aorus Engine utility which will be covered later. The side facing the user has an AORUS text with the LED underneath it. It has a fixed white color to it. 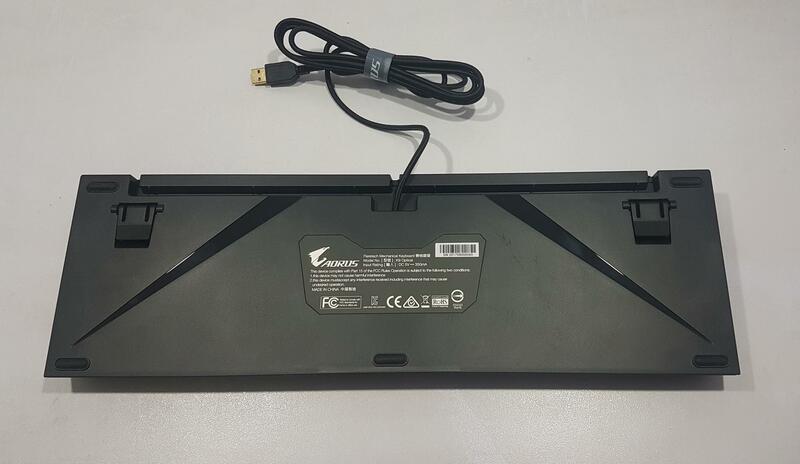 There is neither wrist pad with this keyboard nor any possibility to attach one to it which may not be convenient to many users. The backside of the keyboard has a provision for the cable management by providing cable routing paths with holders at various points to tuck the cable nicely inside. Gigabyte has my praise for this design. There is a stick in the middle showing the serial no of the keyboard and other info. The keyboard takes 5V DC as an input power. There are two clips that can be unfolded to raise the front surface of the keyboard which makes the writing experience more convenient. The cable is braided and has a length of either 1.8m or the 2m as the information on the packing is contradicting the information on the website. 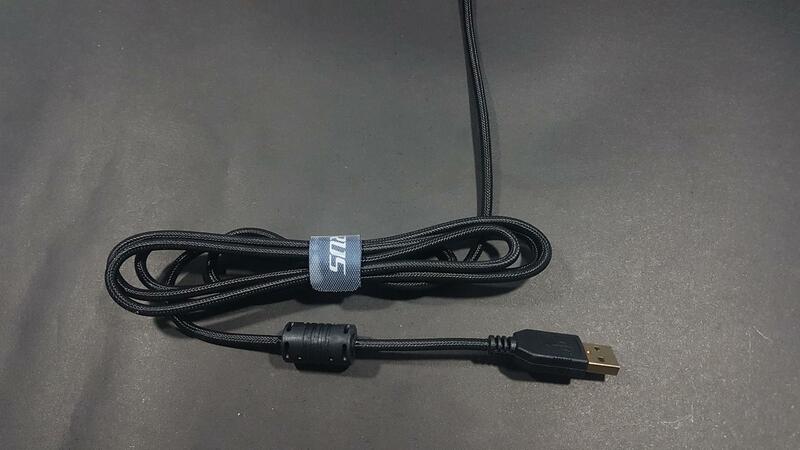 The cable is using USB 2.0 interface for the connectivity and the USB end has a golden connector. 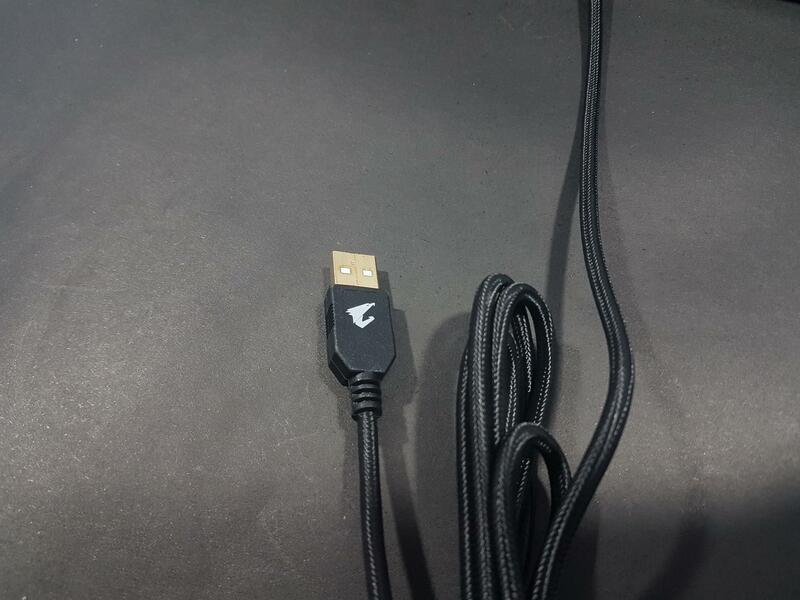 There is an Aorus logo on the USB connector. The Gigabyte has provided a stylish Velcro Strip for some nice cable management. 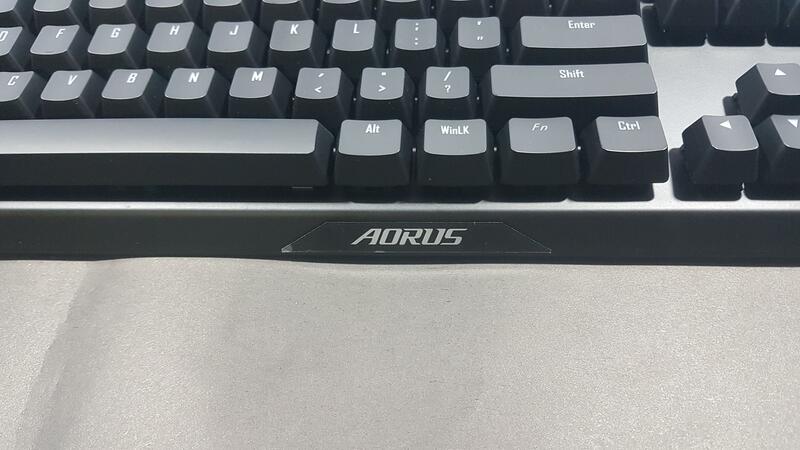 The Aorus brand name is printed on it. Let’s take a look at the switches themselves. Switches are enclosed in a black color housing. The slider is transparent and has a cross stem pattern making it compatible with any keycap. Cherry MX keys have the same pattern so they can be used as well. 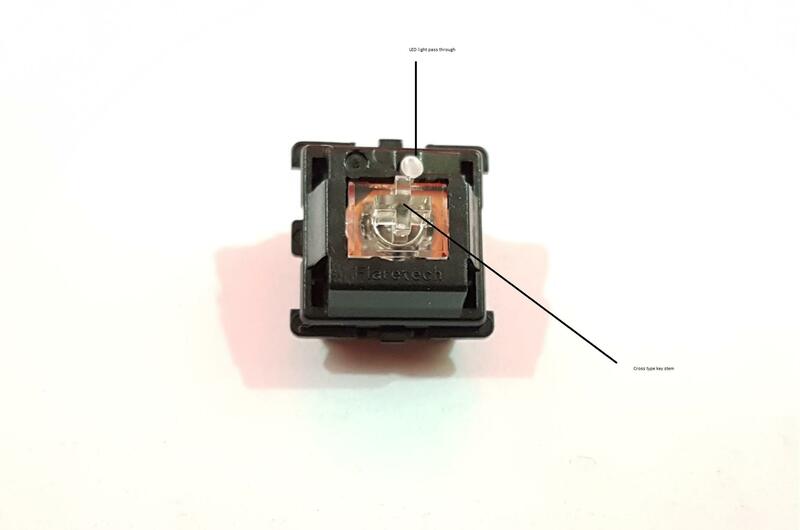 On the top left side of the switch is a pass-through mechanism which is used to pass the lighting from the SMD LED on the PCB through the switch to the keycap. 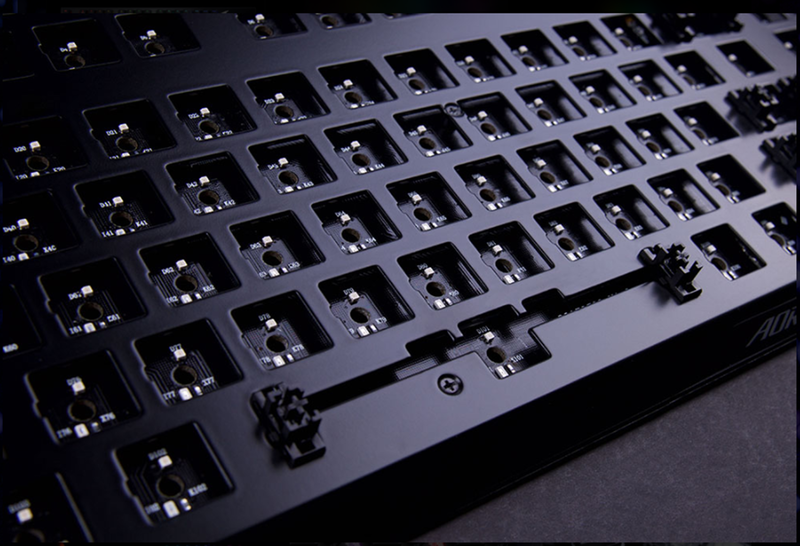 For maximum consistency and optimum typing feel, AORUS exclusively utilizes top-quality steel springs in the switches. All the switches can be taken out much like the keycaps. The rear or back side of the switch has a similar LED pass-through point. Please note that the switch and mounting holes on the PCB are keyed so they can’t be mounted in any orientation. The provided puller has one side designed to take out the keycap and the other side to take out the switches. 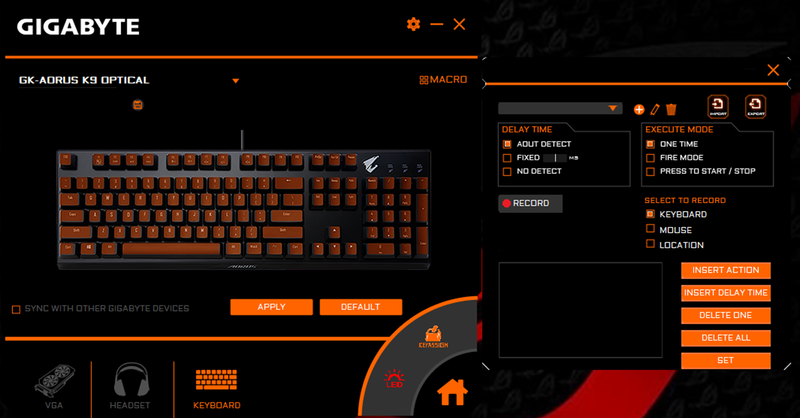 The Aorus K9 Optical keyboard has debounced time of just 0.03ms. The near-zero debounce time offers you an in-game advantage and higher precision in movements, thanks to signal processing at the speed of light. Now you know if speed matters for you then these switches are for your particular need and this keyboard makes a strong case for that. 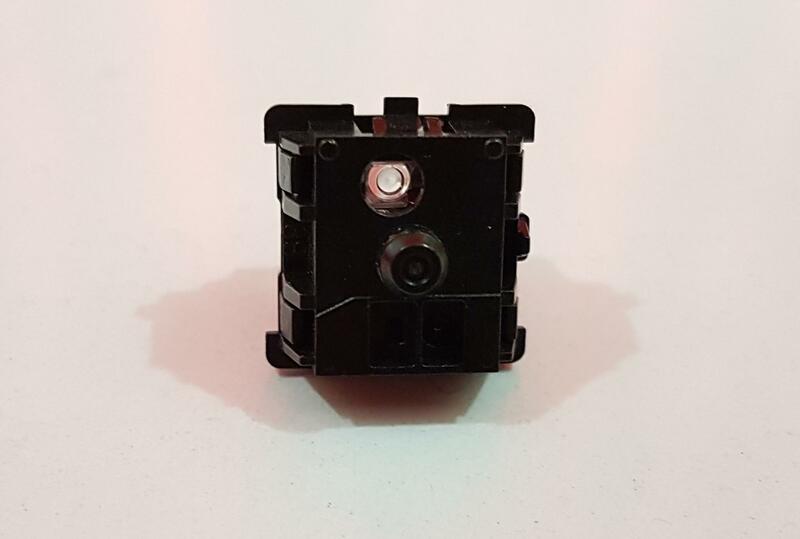 The use of the Flaretech Optical Switches has made the lifespan of the keys much longer than the Cherry MX based switches taking it to 100 Million keystrokes than the 50 Million on the MX Cherry. As the housing of the switches is not metallic so ultra-durability is achieved as metal tends to oxidize and corrode over time. 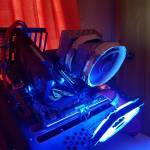 Much thanks to the Flaretech Optical switches making all this happen for the gamers. The Gigabyte has used Hydrophobic Conformal Coating which has made this keyboard splash proof. Harsh, dusty conditions and even rain or liquid spills are no match for the AORUS K9 Optical. Without exposed metal connectors, it is fully splash proof, even enabling use under water. By utilizing optical Flaretech switches, the K9 eliminates a common problem with mechanical keyboards – chatter. 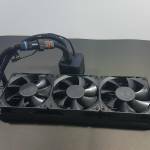 Because it uses fully optical actuation, rather than electromechanical, dust and dirt won’t adversely affect your gaming experience by causing chatter. Not only the keys but the switches themselves can be swapped which is an amazing advancement in the technology. It has further enhanced the life of the keyboard in terms of the service. Should there by any faulty switch, simply swap it out with the fully functional one. Just like that. This would also mean that we can mix and match the switches and keys. PBT has better hardness, durability and smoother texture than normal ABS. Not only PBT has a longer lifespan, it can also significantly resist stains of oil from your fingers. 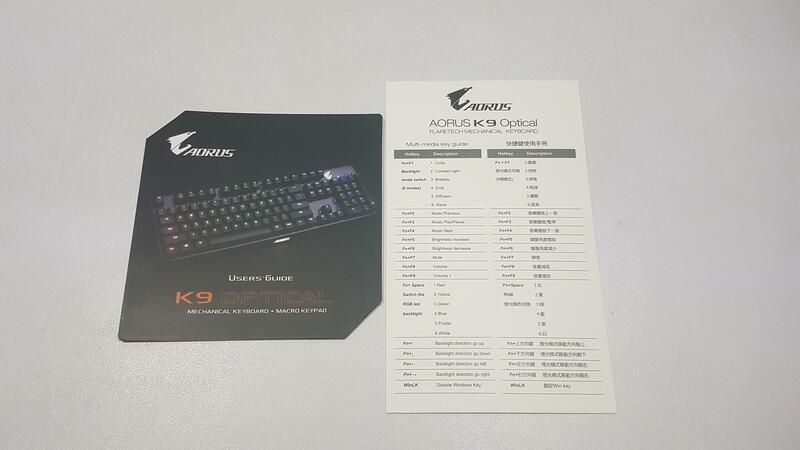 AORUS K9 Optical comes with additional 9 switches with PBT keycaps attached, including W, A, S, D, ESC and 4 arrow keys. 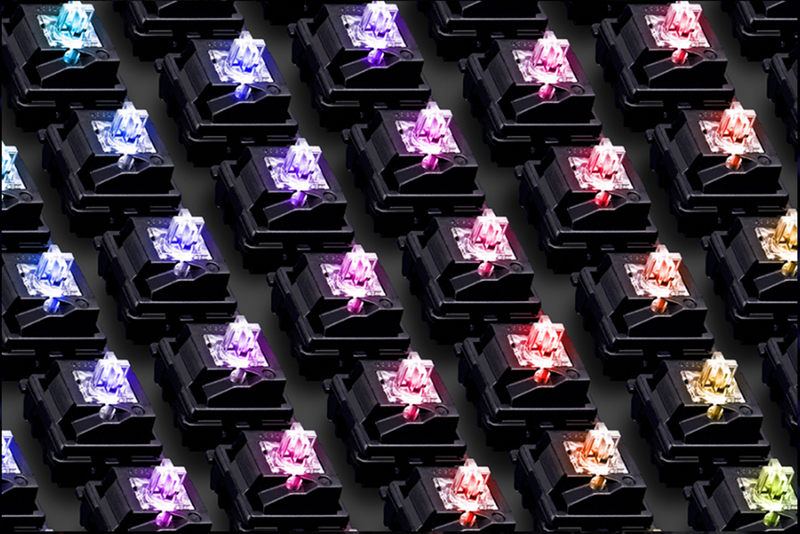 For gamers who buy red switches will get blue switches and vice versa, now gamers can customize K9 Optical with different switches and colors with superior PBT keycap! My own experience with this keyboard has been phenomenal. I am using this keyboard for some time now just before giving my impression. 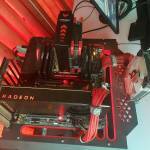 I have used it for gaming while I was testing the graphics cards. 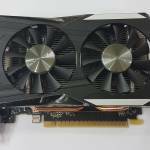 I have used it to write the contents of those graphics cards. In fact, this text is also coming from the same keyboard. I had to adjust myself to getting tuned to it blistering fast response. I have also used it while editing pictures. I have totally positive experience with this keyboard and really can’t complain about anything other than the no provision of the wrist pad and the dedicated multimedia keys. 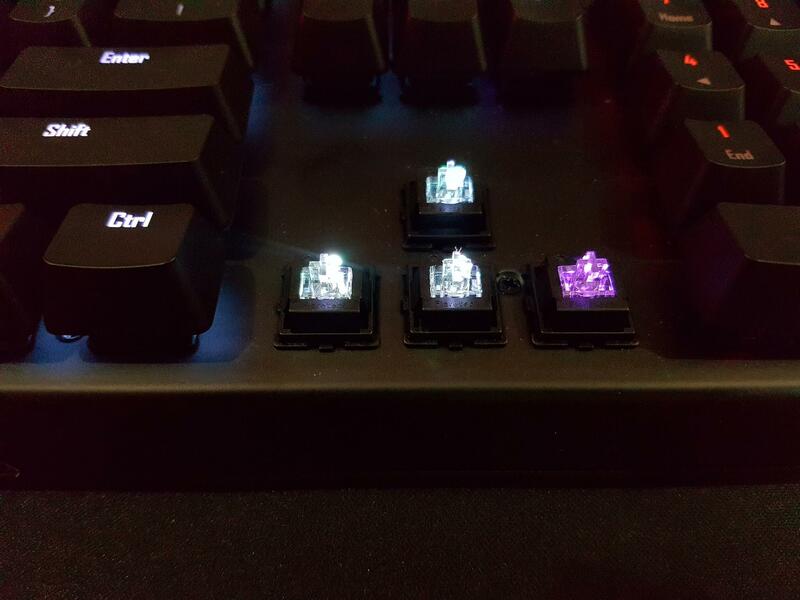 Having discussed the design and layout of the keyboard, let’s have a look at another selling feature of the keyboard that is RGB LED lighting. The keyboard comes equipped LED per key. The way the LEDs have been implemented is already discussed above. The diffusion of the light and the overall lighting pattern are much to my liking. They are quite subtle and not overdone which is a plus. Here are some pics of it with lighting. The Aorus Engine Utility is a comprehensive application which enables the users to take full advantage of the Gigabyte supported hardware. It allows the users to sync the lighting of all the supported Gigabyte hardware much like how Aura Sync does. The main interface shows the picture of the keyboard. On the top, the keyboard’s model is no is shown. There are 5 pre-built profiles which can be accessed either using a combination of the Fn and the F1 keys or using the software. There is a drop-down list with Profile 1 listed as the default profile. Click on it to access the 5 profiles and select any of your own preference. On the top right side, there is a Macro button. Click on it to open a new window where users can import/export the macro files or create their own. There is a brightness control right under the lighting effect drown down list. It is nice to have a brightness control feature. The user can click on any predefined colored box to apply the effect on the keyboard or use Red, Green and Blue boxes to create the desired color combination. The lightings can be completely turned off as well which is yet again a handy feature. 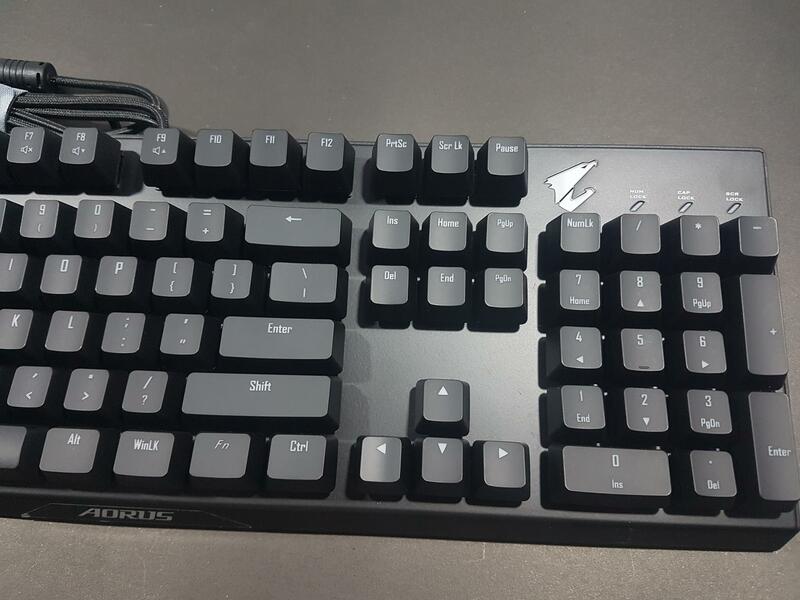 The Gigabyte Aorus K9 Optical is a mechanical keyboard based on the Flaretech Optical switches. These switches operate on the lighting sensor and light to record the key press. They are analog in nature and are modular and are soldered on the PCB and can be swapped around. The keyboard has 0.03ms debounce rate which makes it blistering fast. It features N-Key rollover ensuring that every pressed key is recognized. The keys are in floating design not covering the switches fully which creates more subtle lighting effect and easy the cleaning job. This keyboard has much longer lifespan thanks to the 100 Million keystrokes rating as compared to the 50 Million on the Cherry MX switches. Only red and blue switches are available at the moment. The Red ones are linear whereas the Blue ones are not linear and have tactile feedback/bump on them. The Gigabyte has used Hydrophobic Conformal Coating which makes the keyboard splash proof so much so that the manufacturer is claiming that the keyboard can be used under the water. This is coupled with the non-metallic housing of the switches hence there is no chance for the corrosion or oxidization. Because it uses fully optical actuation, rather than electromechanical, dust and dirt won’t adversely affect the gaming experience by causing chatter. The keyboard has 16.7M RGB LED lighting solution on board which can be leveraged using the Aorus Engine utility. The software is comprehensive and allows the user to create own lighting profiles or use pre-defined 5 profiles. Users can also assign specific keys for predefined usage scenarios. 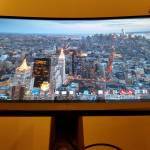 Macros can be easily created using the software. There is a brightness control and the lighting can be completely turned off. The keyboard has cable management provision on the bottom side. There was contradictory information on the cable’s length. The specification on the packing is mentioning it to be 1.8m whereas the website specifications state it to be 2m. The cable is braided and has USB 2.0 interface. There is no provision to attach wrist pad nor is supplied. There are no dedicated multimedia keys and volume rocker. This functionality can be achieved using the combination of the Fn key with the F2-F4 and F7-F9 keys. There is no USB Pass-through either on the keyboard. As the Gigabyte has not yet announced the pricing so it is hard to tell the pricing. The price of the Aorus K7 is $127 and K9 is being advertised superior to the K7 so I am expecting the price range of $140 to $150 for the unit. This is my opinion only and does not reflect the actual pricing by the manufacturer. I will update the pricing once it will be confirmed to us. The performance of the keyboard is excellent. I have been using the Cherry MX based keyboards from the Corsair for quite some time but after using this keyboard it was a much need break. My own experience with this keyboard has been phenomenal. I am using this keyboard for some time now just before giving my impression. 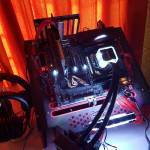 I have used it for gaming while I was testing the graphics cards. I have used it to write the contents of those graphics cards. In fact, this text is also coming from the same keyboard. I had to adjust myself to getting tuned to it blistering fast response. I have also used it while editing pictures. I have totally positive experience with this keyboard and really can’t complain about anything other than the no provision of the wrist pad and the dedicated multimedia keys. It comes highly recommended from my side. 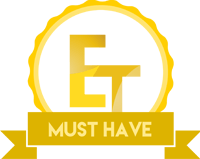 Based on the sheer performance of this keyboard, it has won our Must Have award. 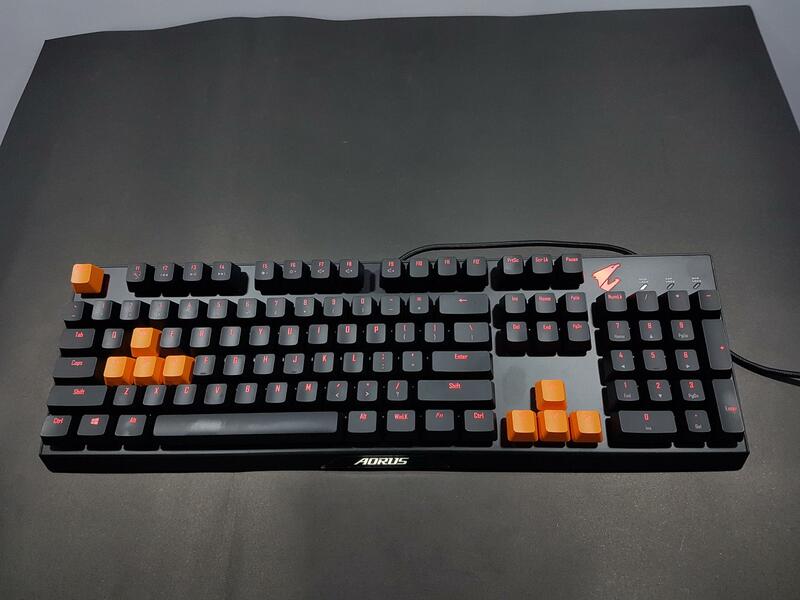 I am thankful to the Ease Tec for providing the opportunity to review the Gigabyte Aorus Optical K9 Mechanical Keyboard.